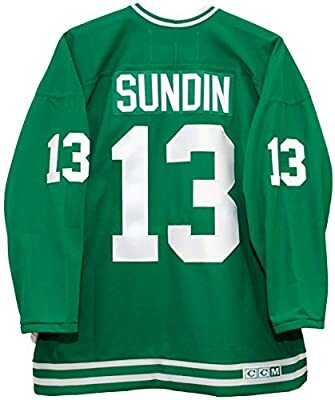 This is a Mats Sundin Toronto St. Pats green CCM jersey. Made in Canada by CCM, this jersey has an embroidered applique front logo and professionally stitched tackle twill player name and number. 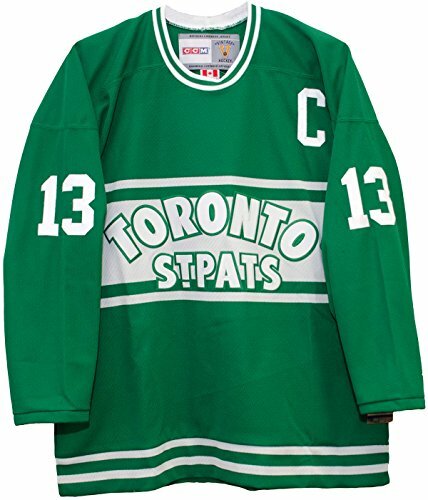 In 2002, the Toronto Maple Leafs wore the green jerseys of the St. Pats to celebrate the 75th anniversary of the franchise changing their name to the Maple Leafs in a 3-3 tie against the Buffalo Sabres, led by captain Mats Sundin's two goals.